Do you challenge yourself when it comes to DIY around the home? Would you try out a new project if you felt it was slightly outside your comfort zone? Of course, only by pushing ourselves do we learn new skills, but admittedly some jobs are sometimes beyond our ability. I wouldn’t tackle plumbing jobs, or anything electric for example, but I would definitely do the wallpapering, some carpentry and larger painting projects. When we first started doing up houses, I discovered that my husband was rather handy with a screwdriver, and it turned out all of his skills were self-taught. As a child, his Mum had collected the very popular Australian Golden Homes Magazine and purchased the binders in which to store the collection. As a teenager he started doing projects around their home, like decorating the downstairs loo, helped by the tutorials in these magazines. When she died, he kept the collection which we still have in our loft. In fact, I found a few of the folders in Miss E’s bedroom recently as she was referencing them for her projects. Like Father like Daughter! It’s fascinating to look back at these images, the trends of Australia that we were trying to emulate here in the 70’s. Achieving these looks on a budget was the main drive of the articles, and interiors were interspersed with tutorials and craft projects. A little like the Mollie Makes for the 1970s. There are striking similarities to some of the trends of today. 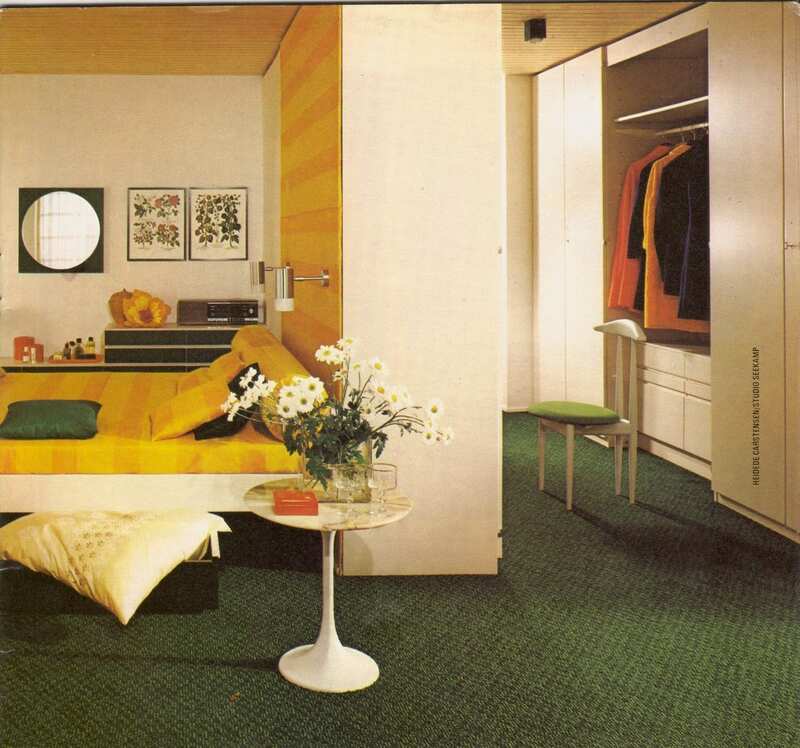 Look at the colour palettes and the shape of lighting and side tables. 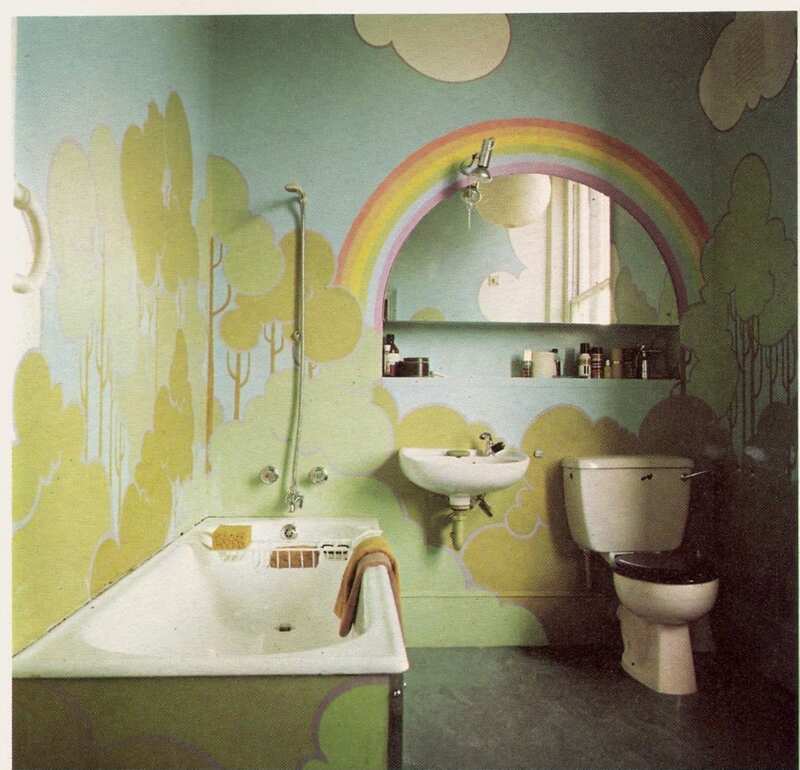 I’m not too sure that the rainbow decorated bathroom ever caught on, and it certainly has returned as a popular trend today. Whether we love or hate these designs, these magazines still play a key part in DIY in our home, when we reference them for certain projects. Pretty much any of this is available online these days, and particularly on YouTube, but there’s something wonderful about accessing information in this way to teach yourself a new skill. Now, as well as using the internet I’m more likely to use stylish or inspirational DIY Books from bookstores like The Works (always great value!). I’m a big Grand Designs fan, as you probably know and still haven’t recovered from interviewing Kevin McCloud, so have a few of their books tucked away ready to inspire me for the bigger project. I don’t think I’ll ever beat the Golden Homes collection though. Are you inspired by these images? Do you have a magazine collection gathering dust in your attic? Still have the complete set and extras in binders from early seventies!!! I had most of them but only have one left. Now I’m looking for one Golden Homes copy that has a plan to make a lean to. Or do you have the number of the copy that has it in. Hi Gordon, thanks for your comment, keep them! It’s such a lovely thing to have. I saved my dad’s complete collection from the paper bin and took them with me. I must have looked at these hundreds of times as a child. 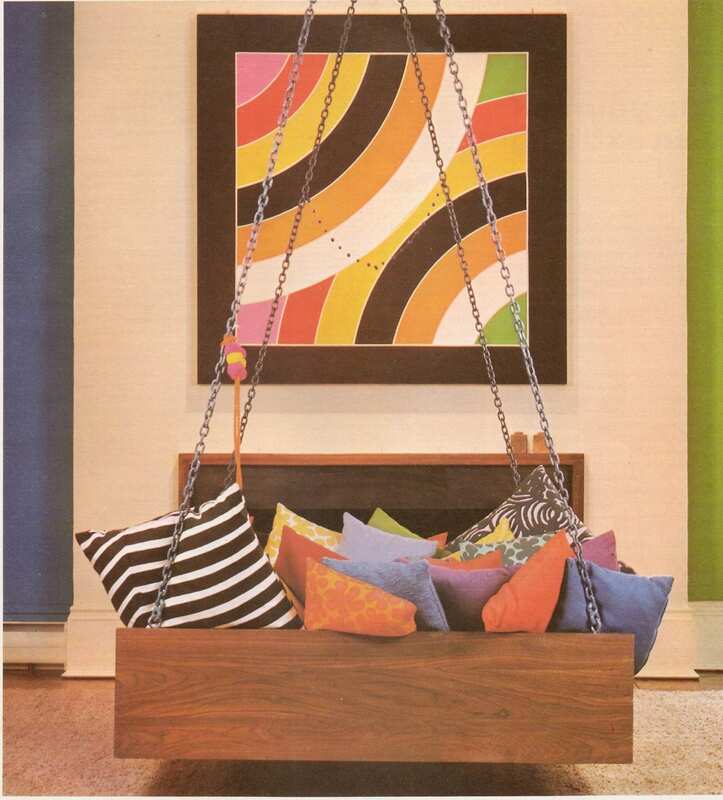 A lot of radical ideas and an antidote to some of the rather boring and safe decorating you see today. Hi, I am wondering if you know of any collectors of Golden Homes magazines that would be interesting in buying a collection, a number of bound albums also?